Did you know that alleyways really are quite the thing nowadays? Even here on Mars. They are. Formerly places my old friend, Top Cat, and his pals called home, they’ve been given the fad-on-a-stick treatment and prospered mightily. I don’t know about you, dear reader, but I like my tuna bagels in a nice tea-room with delicate crockery and catnip on tap. I’ve done my time on the mean streets of the third and fourth rocks, and I like the friendly salons, heavens, I like Gertrude Stein and Alice B Toklas. What I really, really like is a bowl of plain ice-cream with a happy drizzle of genuine Canadian Maple Syrup, preferably served by Prime Minister Justin Trudeau in his very nice suit. 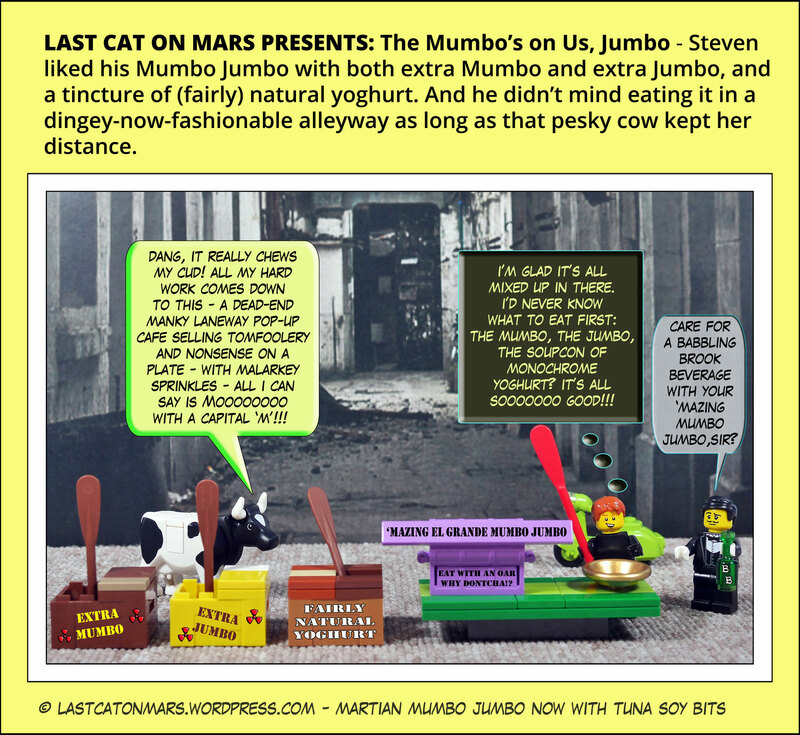 This entry was posted in Variety Show and tagged cartoon, comic, cow, lego, minifigures, mumbo jumbo, yoghurt on August 23, 2017 by Jay Verney. Far be it from me not to get involved in the emergency of the month. The cheesecake may be tuna flavoured, so beware. 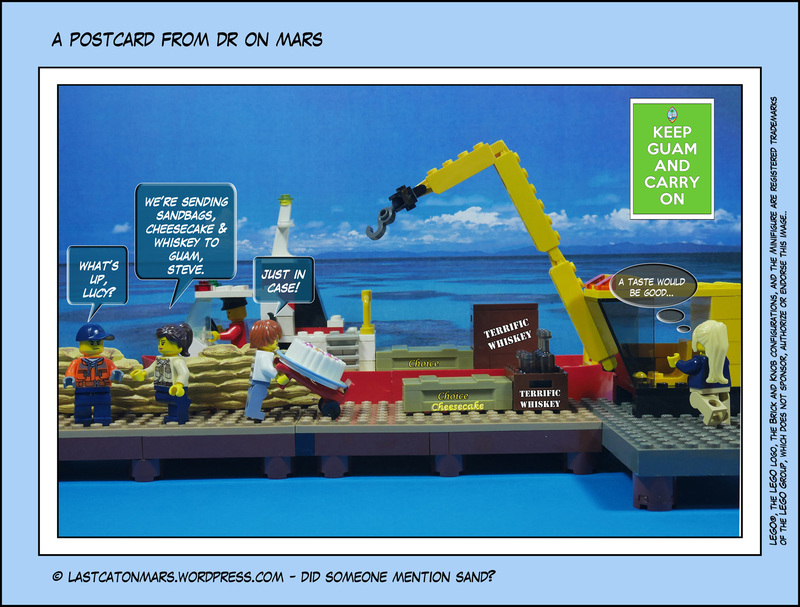 This entry was posted in Special Occasions and tagged cargo, cartoon, cheesecake, comic, crane, Guam, lego, minifigures, North Korea, sandbags, ship, whiskey on August 15, 2017 by Jay Verney.